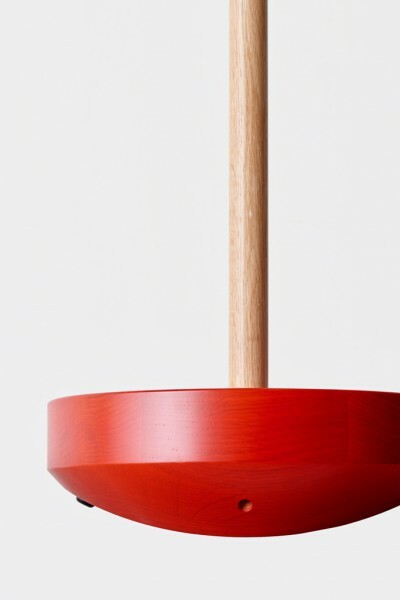 Like a Metronome, a swinging hanger stand is derived from the theme, "Music x Gravity". 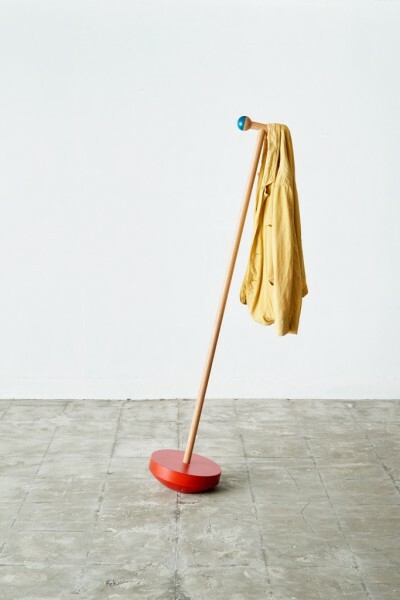 The hanger acquires its balance from soft inclination effect from hanging coat and bags. 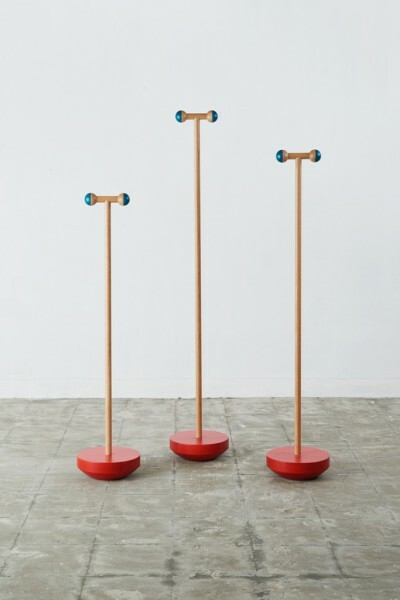 Of 3 types of length, each stand is carved with unique tempo, expressing music and gravity in its light motion. 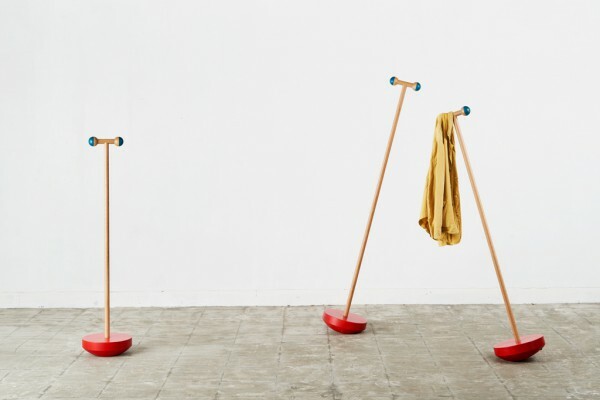 This artifact shows a novel way of clothes storage, like a rocking chair which has a comfort within instability. 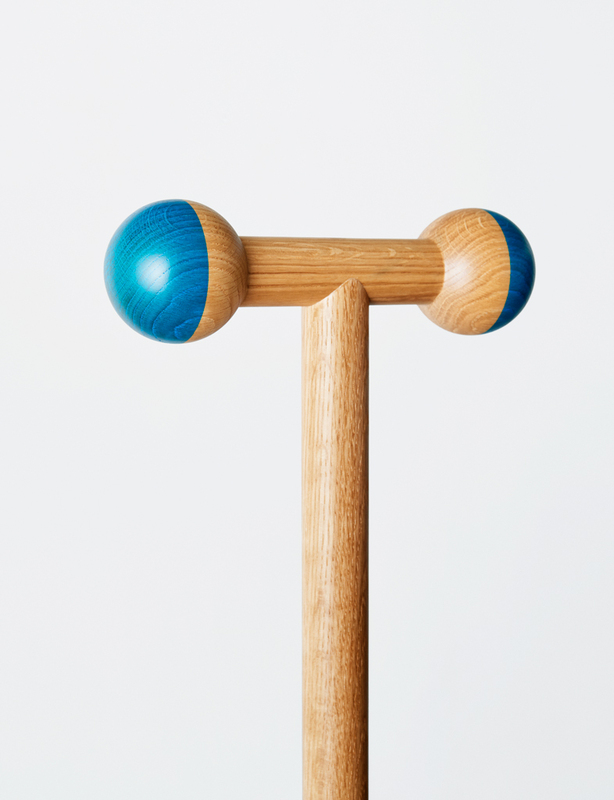 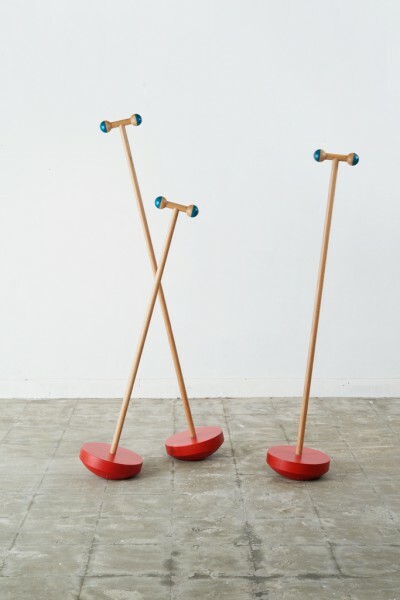 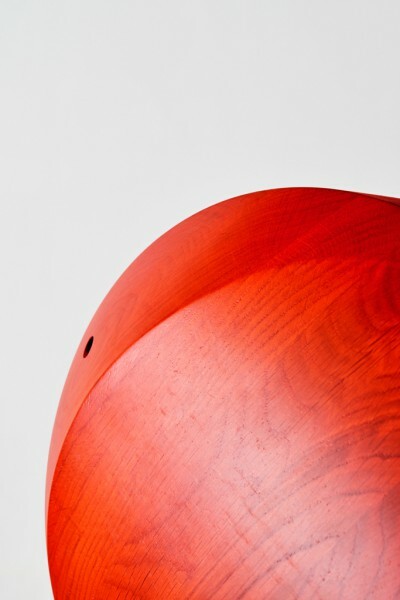 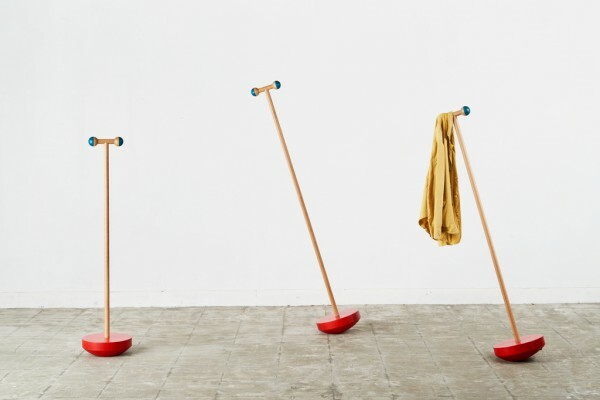 To create an archetype, the simple formal design language, a red plate, a round wooden T-bar and two half blue painted balls suggest the reduction of the object to its function. 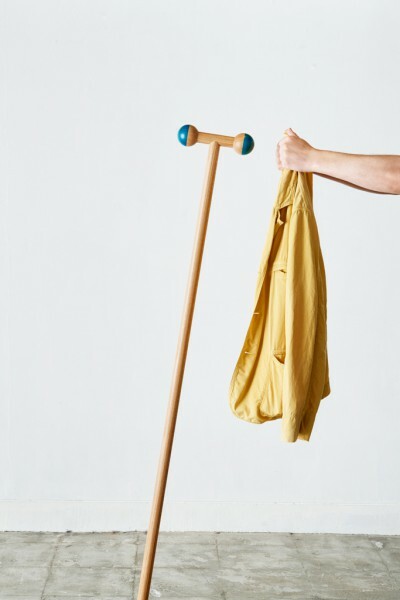 When you leave and take out a coat from the stand, it will start swinging slowly and charmingly – waving to you.